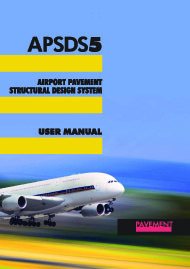 The Airport Pavement Structural Design System (APSDS) software will streamline your runway and taxiway design projects. 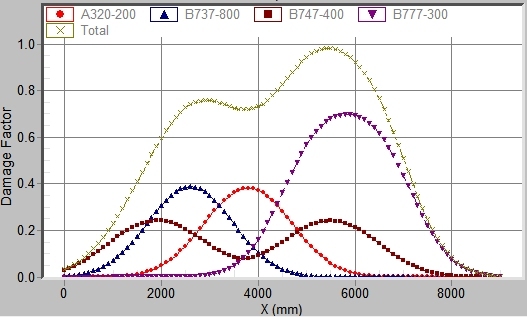 The optimization feature gives designs that are cost-effective and reliable. The user-friendly interface runs under Microsoft Windows. 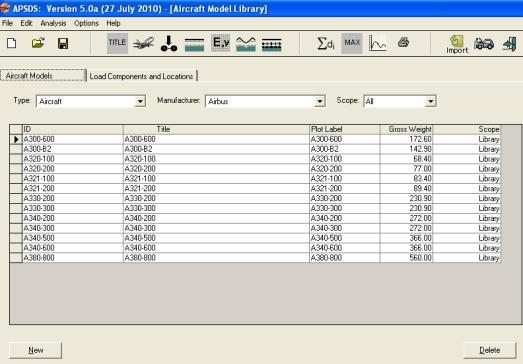 you can export results to other application packages such as word processor or spreadsheet. pavement and loading databases save re-keying information. comes with a standard aircraft library – that you can automatically update from our web server. you can export results in tabular form and report-quality graphs. APSDS 5.0 handles complex loadings by the ‘reservoir’ method, as used in bridge design. This consistently computes the damage from overlapping strain pulses due to multi-axle landing gears. With our new calibration (details in this paper), APSDS 5.0 pavement designs are thinner than given by the FAA design software, FAARFIELD.